I use Manfrotto tripods exclusively so I tend to watch them closely for new products announcements. Somehow I missed the news of the Befree 2N1 until I read the November issue of Outdoor Photographer Magazine. Anyhow I have been a proponent of the Befree lineup since it was announced a few years ago. Since that time Manfrotto has continued to evolve and expand the lineup to include unique finishes, carbon fiber models, video models and two different leg locking mechanisms, lever and twist. Today’s post is a variation I didn’t expect. The Befree 2N1 is a Befree tripod that has a removable leg that converts to a monopod and that is pretty awesome. 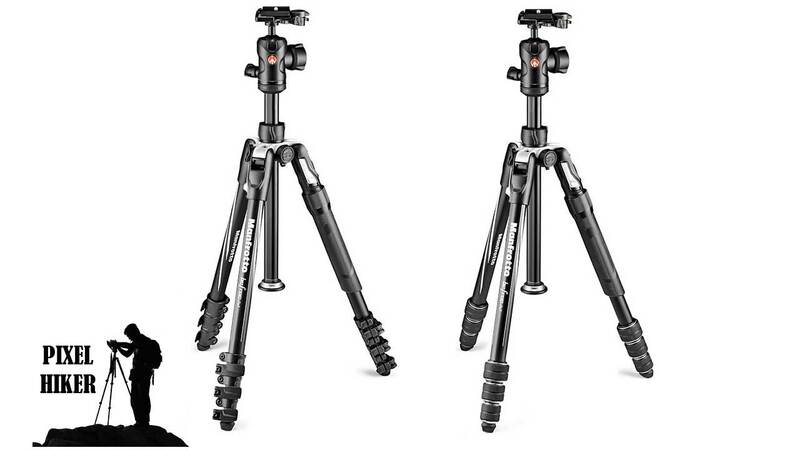 For $220 you get a Manfrotto Befree Tripod and Monopod! When I go out photographing living nature like birds and butterflies I usually bring a tripod and a monopod. Btw my Manfrotto monopod weighs more and costs more than the Befree 2N1 but it’s professional level and predates the Befree tripods and other lightweight monopods. Bottom line I see it this way, If your in the market for a new tripod and an aluminum Befree model is appealing why not just get the 2N1 and get a tripod and bipod all in one. I will be purchasing the Befree 2N1 to do a review and compare it to my other tripods and monopod. Lastly Manfrotto if your listening make a carbon fiber model! 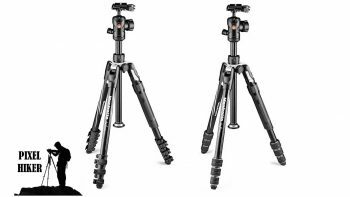 The Manfrotto Befree 2n1 aluminium travel tripod with lever lock and ball head kit is the ideal solution for advanced hobbyist photographers who want versatility and maximum performance combined in one simple solution, ideal for travelling. Its ergonomic design makes operating the Manfrotto Befree 2n1 intuitive and fast, enabling even the most demanding photographers to set their equipment up quickly and easily, so they can completely focus on catching the desired shot. The Befree 2n1 features an integrated full size aluminium monopod that can be easily mounted in a few steps. By simply unlocking the dedicated mechanism on the leg with the leg warmer on, and pulling out the tripod column, the two solid aluminium blocks can be joined together with the dedicated cap screwed under the column. The monopod can easily hold up to 5kg (11 lbs) payload. This model also provides a new locking mechanism called the QPL Travel lever, a brand-new system developed by Manfrotto, that brings the full locking power of the professional QPL lever on professional Manfrotto tripods like the 190 & 055 collections, to a more lightweight version that is ideal for travel. The new on-off mechanism makes set-up and adjustment easy and secure, providing full stability in all its configurations when the tripod is open. The ergonomic leg-angle selector is designed to be used by both right and left-handed photographers, enabling everyone to change shooting perspectives intuitively, and to find the right tripod height without losing focus on the shot they want. The spider is developed to ensure perfect stability on all types of terrain, including the most uneven, always keeping the camera completely steady and ready to capture sharp images. It features the Easy Link, just like Manfrotto professional 190 & 055 tripods, allowing photographers to enhance their creativity by adding accessories that make their shot unique and unforgettable. Photographers who love adding lights or reflectors can now take amazing outdoor shots that were previously only achievable with heavy accessorized tripods. The spider is developed to ensure perfect stability on all types of terrain, including the most uneven, always keeping the camera completely steady and ready to capture sharp images. It features the Easy Link, just like Manfrotto’s professional 190 & 055 tripods, allowing photographers to enhance their creativity by adding accessories that make their shot unique and unforgettable. Photographers who love adding lights or reflectors can now take amazing outdoor shots that were previously only achievable with heavy accessorized tripods.